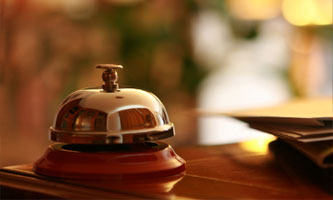 Guests can select from the following list of concierge services. Each service carries an additional charge paid directly to the service provider. Villa Grocery Pre-Stocking: Our personal shopper can have your vacation home stocked with all provisions you require, before you even get there! Imagine walking into The Villa after a long day of travel and enjoying that first ice-cold beverage. This service will ensure that you are ready to start your vacation from the moment you arrive. Private Chef: We can coordinate onsite dining for you by securing a chef. Guests are encouraged to communicate directly with our selected chef before arrival to discuss menu options. Spa Services: Our recommended spa providers can travel to The Villa for your convenience. Want to make it a spa-day outing instead? Our relationship managers can also provide your party access to spas on the island. Babysitting: We can setup on-site babysitting service. This service is based on an hourly rate and is paid directly to the provider. Daily Cleaning Service: In addition to your mid-stay cleaning, guests can elect to have a daily service. The provider will clean up each day of your accommodations at The Villa. Special Services: Celebrating this trip? Want to create an amazing experience to match the significance of the event? Our team is here to assist you. Whether you need a to hire a band or create a festive atmosphere during your stay, our concierge team will work with you to ensure a memorable experience. From wedding coordinators to caterers and party planners, we work with a number of local providers to ensure a stress free event. If you are interested in any of the services offered on this page, send us an email and we'll get you set-up quickly.